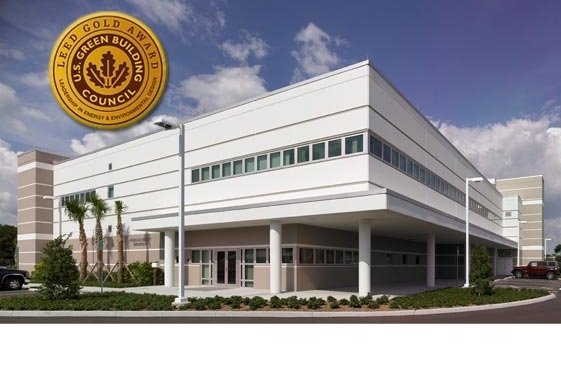 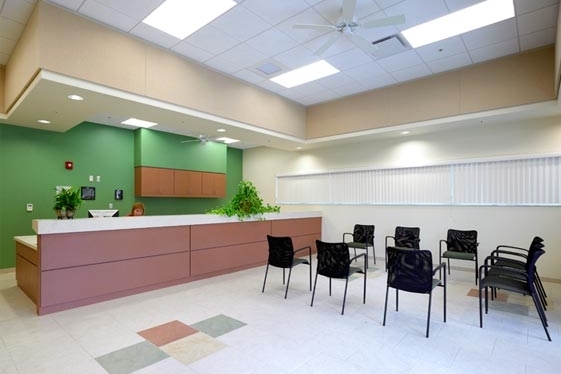 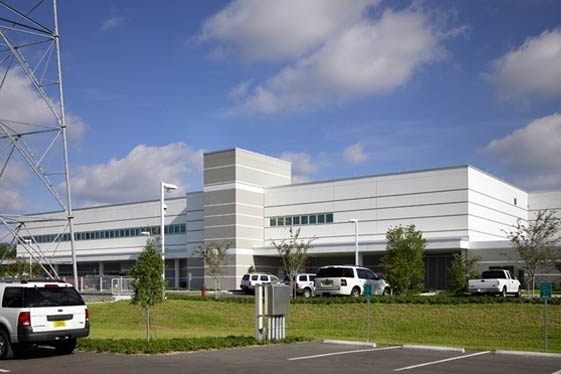 LEED ® Gold-Certified PINELLAS COUNTY Public Works Emergency Responders Building - Mason Blau and Associates, Inc. 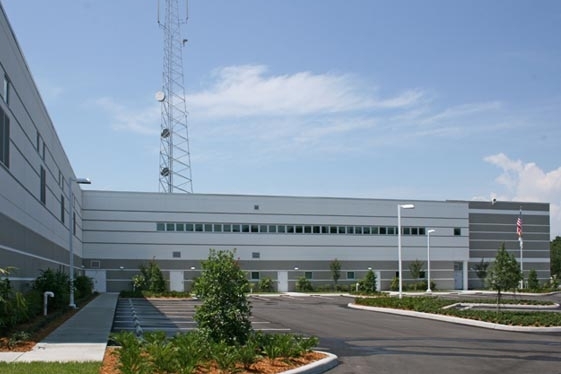 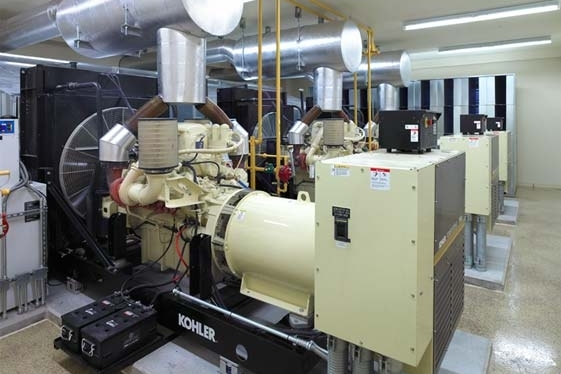 The Public Works Emergency Responders Building (PWERB) is a 2-story LEED Gold-Certified building designed to withstand a CAT 5 event (156 mph 1-minute sustained wind, 190 mph 3-second gusts) and is located above the 500-year Flood Plain. 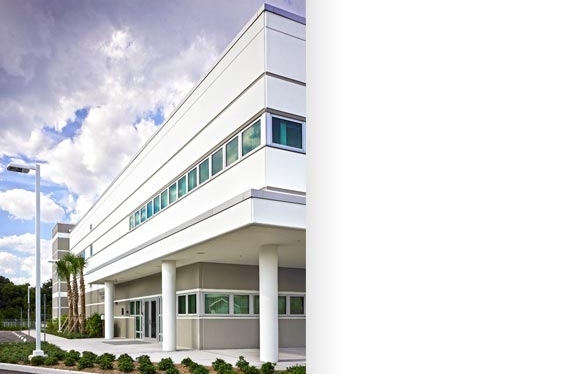 The building has tilt-wall concrete precast wall panels and a flat concrete composite roof, with 3 ft. high strip windows or punched windows with FEMA 361 attributes and green tinted impact glass. 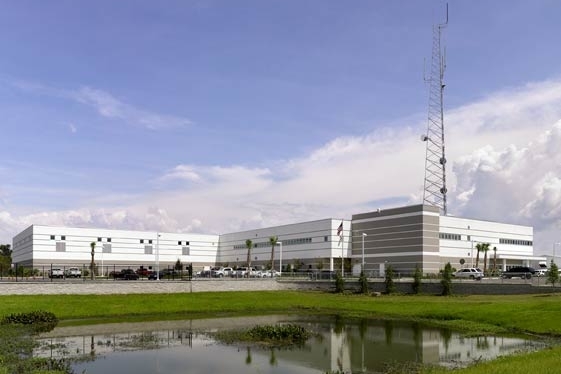 The 80,385 GSF building houses a total of fifteen (15) different sections from the Pinellas County Public Works Highway Department. 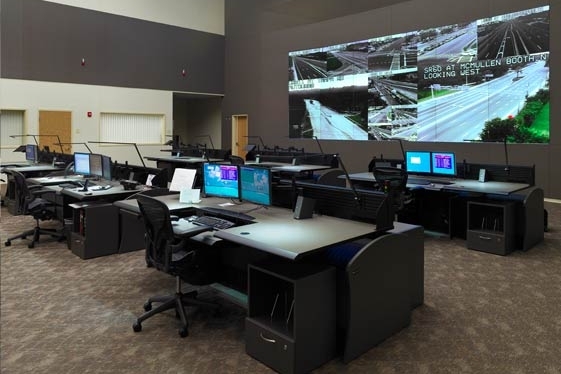 The Primary Control Center (PPC) for the Intelligent Transportation System for the entire County, the Public Works Emergency Operations Center and the First Responders Shelter. 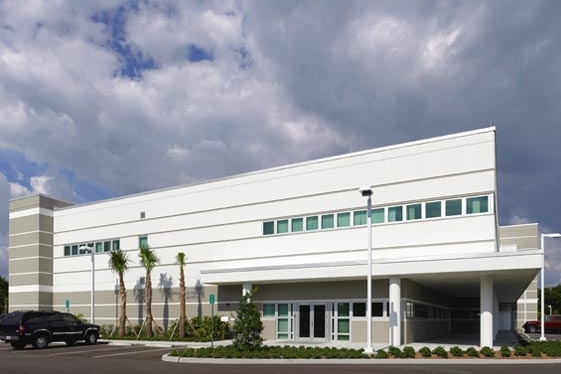 The first floor is approximately 54,000 GSF and consists of the PCC, offices, warehouse storage, commercial kitchen, dining and break room, energy center, load center and a chilled water pump room. 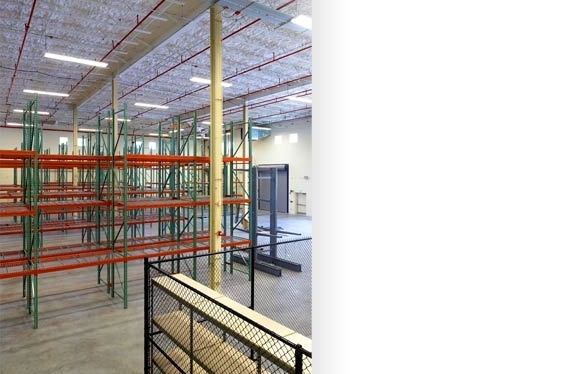 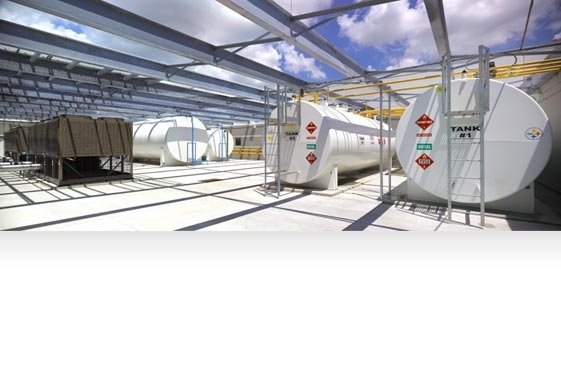 The second floor is approximately 26,000 GSF which includes the following sections: operations (Highway Administration), customer service, human resources, business management division team (BMDT), fiscal and contracts sections and the mezzanine for sign/signal storage. 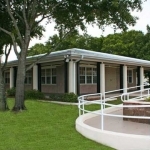 The storm shelter aspect for men and women consists of dormitories with bunk beds to sleep 50, gang toilets, shower/locker rooms and laundry to support the same. 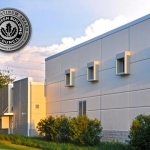 The Public Works E.O.C. 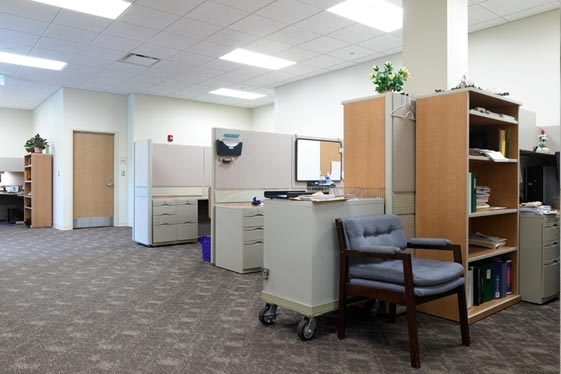 is also located on this floor.